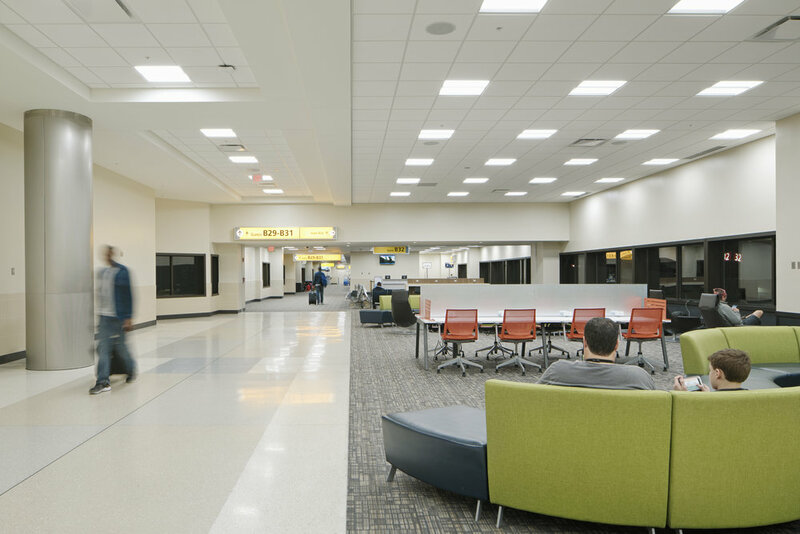 John Glenn Columbus International Airport invested over $80M in renovations to modernize our 58-year terminal. Dupler Office worked with MSA Architects in order to provide many different products that supported the improved traveler experience. With the increase in daylight into the main ticketing lobby, Dupler Office provided new seating that provided comfort and privacy. Throughout the concourse, we added power to all seating pieces to support the increase need in powering personal electronic devises. Dupler Office also transformed the food court from a sea of tables and chairs to a café-style environment, offering choices that included traditional seating, lounge seating and stand-up counters for quick stops.